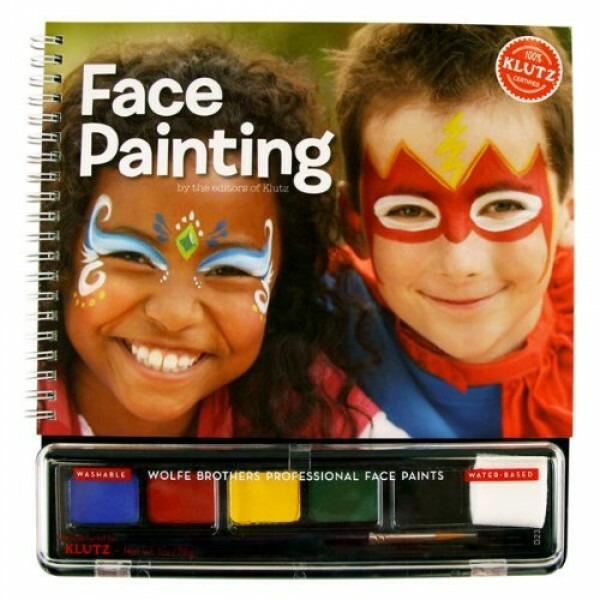 This is the best face painting book ever. A fully photographic how-to about kids' face painting, wire-o bound for lay-flat utility. Includes detailed directions for simple sponge and brush techniques and tear-out cheat sheets to make painting birthday parties easier than ever. The face paints come from Wolfe Brothers -- they go on smoothly, dry quickly, last beautifully, and wash off easily, with bold, bright colors that have to be seen to be believed.